It may be wishful thinking, but it would seem the cold weather is slowly clearing and the showers are upon us. The typical British spring time can be a bit unpredictable, with sun one minute and rain the next, so picking what to wear can become bit of a task. I find the perfect spring time staple comes in the form of the classic mac, and this must-have item will see you right through the season. Think classic British style, for the modern day gent. 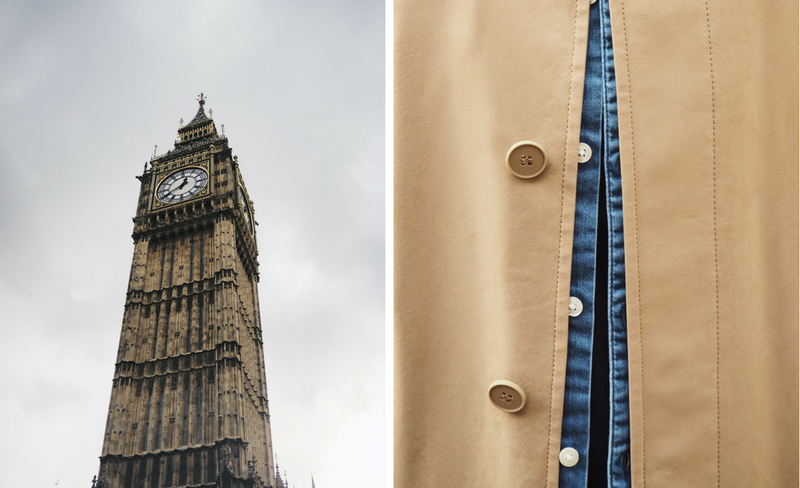 Moving away from the darker tones of winter, the timeless camel trench makes for the perfect add on to any outfit and looks effortlessly smart for heading around the city. The contrasting navy collar adds that pop of colour and looks great either up or down. I chose to partner the mac with a black tee and skinny jeans, with my favourite chambray shirt over the top for that addition of colour. I always find that camel and washed blues suit this time of year so well, and are an easy partnership for any guy. Completing the look, I went for my black chelsea boots and my Rotary watch. I wanted to keep the whole look simple and understated, with the timeless pieces showing that classic British style.